The new Apple iPad 2 release is resulting in a lot of iPad 2 specific case releases. 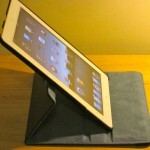 One of the first out of the gate is the Targus 360 Degree Stand and Case. 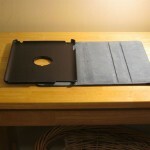 It is a black leather folio case that also functions as a stand for the iPad 2. 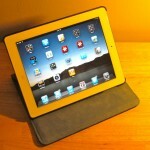 Check out our iPad 2 Review. There are a lot of these style cases, so what makes this one different? 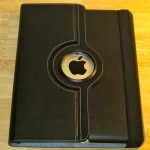 First, it is high quality leather and has a cutout for the Apple symbol on the back. 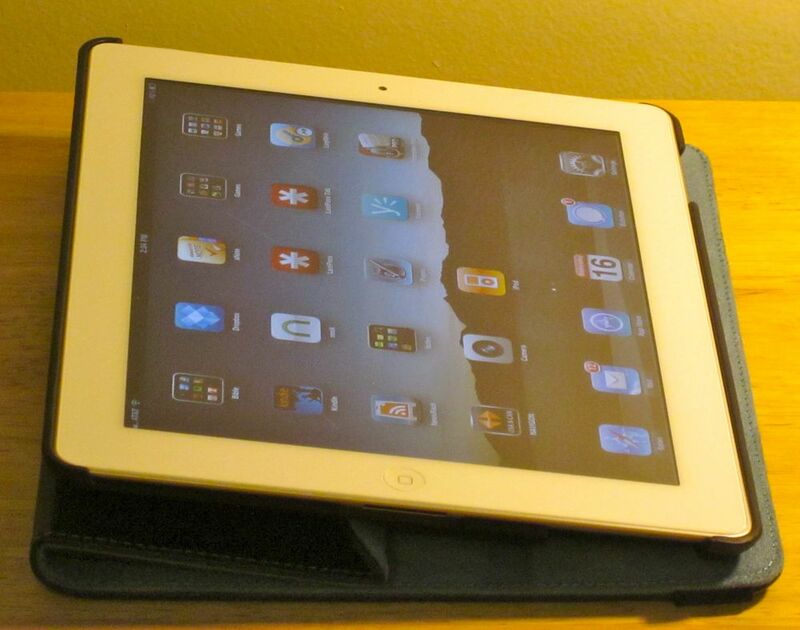 It just looks really nice. But most important, the iPad can actually swivel inside the case so that holds the iPad up at both landscape and portrait modes, great for either reading, typing or watching video in landscape and using FaceTime or reading books/magazines in portrait mode. 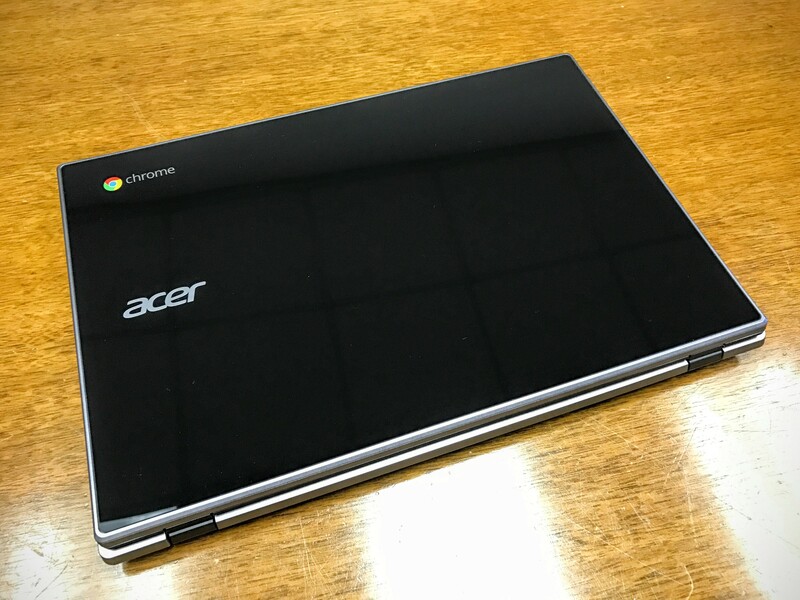 What is nice about the case? 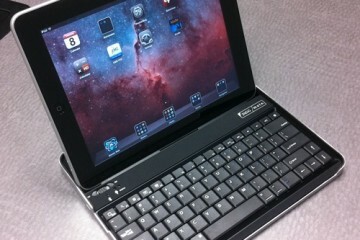 As we said it looks great and feels nice in your hand. 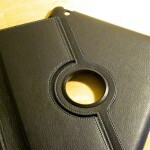 The smooth leather encases the iPad 2 in a very book-like fashion. The circle cutout on the back reveals that it is an iPad, if that is important to you. 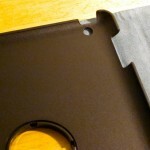 And the stitching is tight and doesn’t feel like it will come apart. 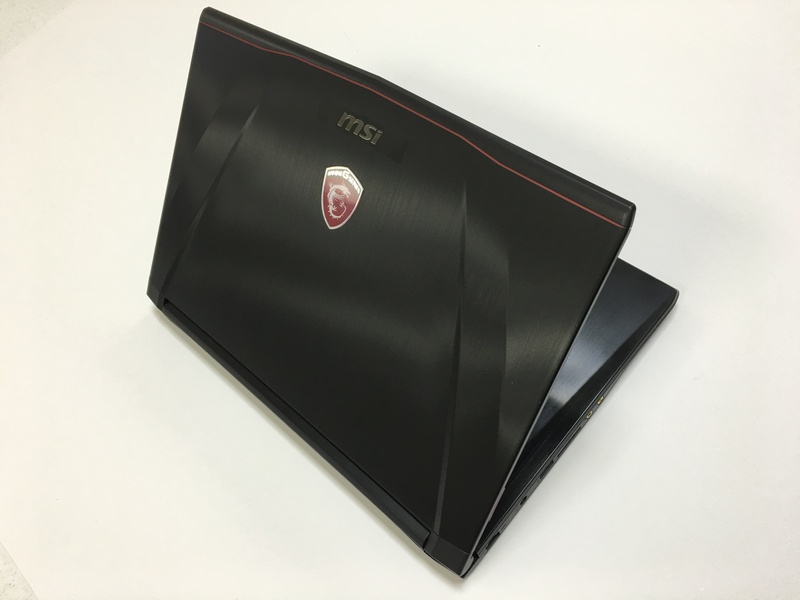 You just feel like you are carrying a high quality product with this case. 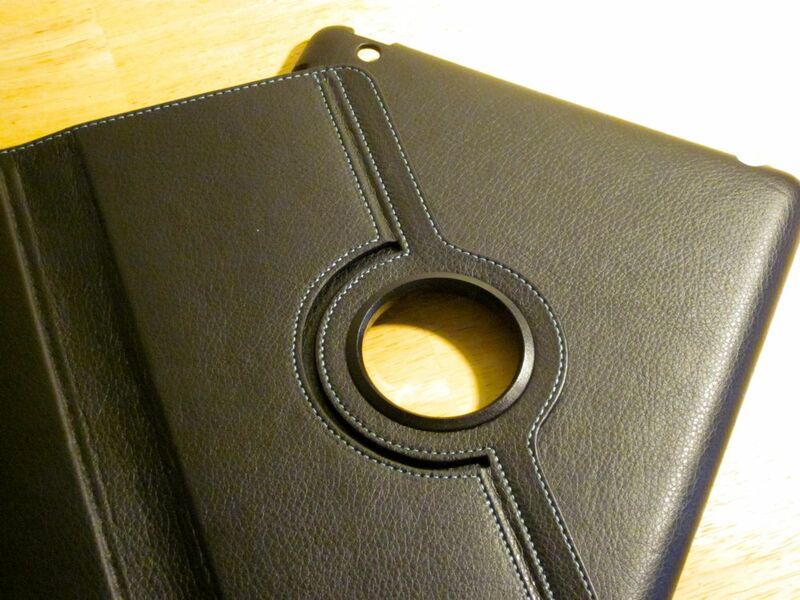 The cutouts don’t get in the way of the ports and buttons so it is functional. 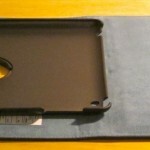 But there are two things that make this case a poor choice despite how great the quality is. 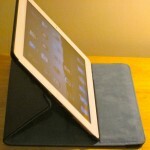 First, the stand modes do not hold the iPad 2 up very well. 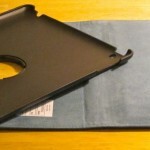 The crease that allows the iPad to rest back on the back part of the case folds back too easily. 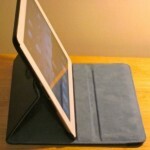 If you touch the iPad while it is in this mode it feels like it is going to fall back. Portrait mode is even worse than landscape mode. 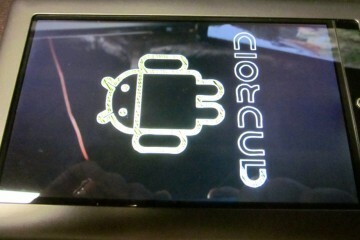 In fact it is almost unusable in portrait mode. 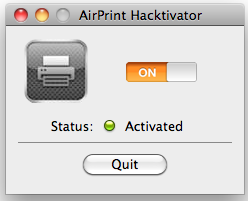 So the most interesting feature that sets it apart, just plain doesn’t work well. 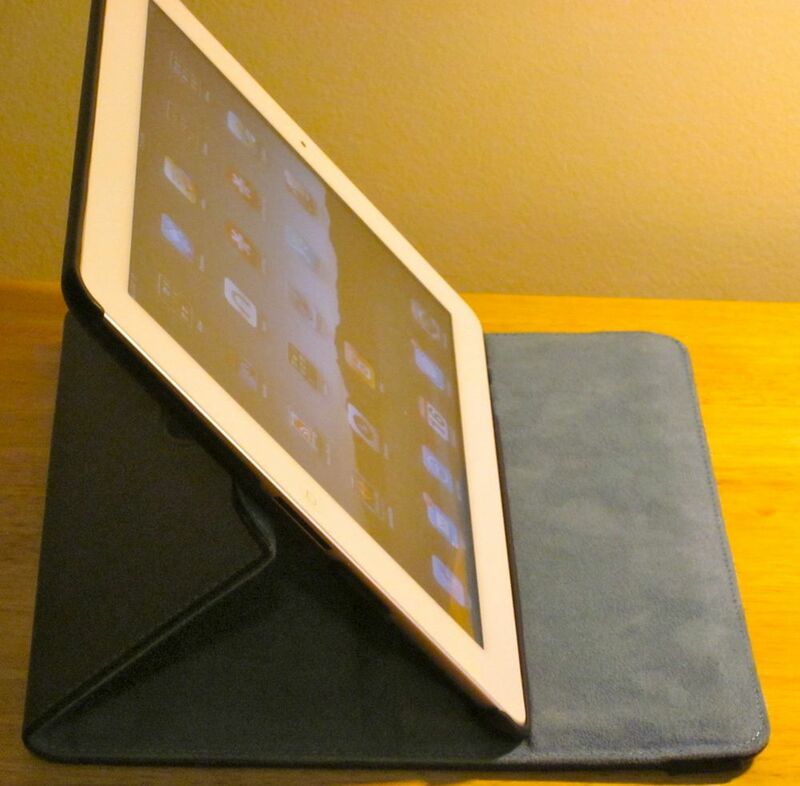 Second, when I want to use the iPad 2’s back camera, I will need to have the iPad 2 open with the folio cover either dangling down or folded over the back. 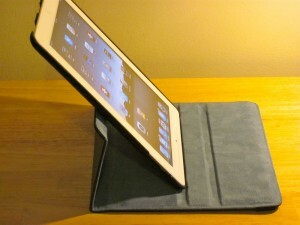 The most comfortable way to hold it is with it folded back over the back of the iPad. 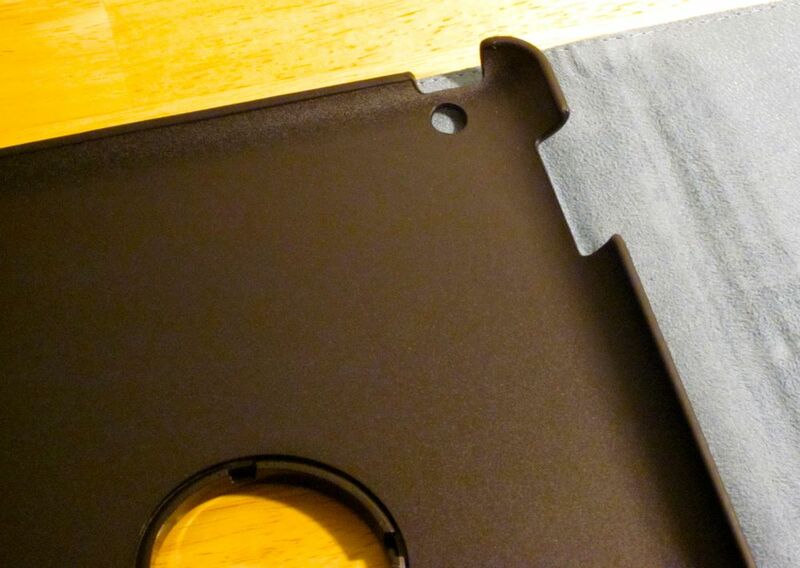 When you do this, the front cover blocks the camera. 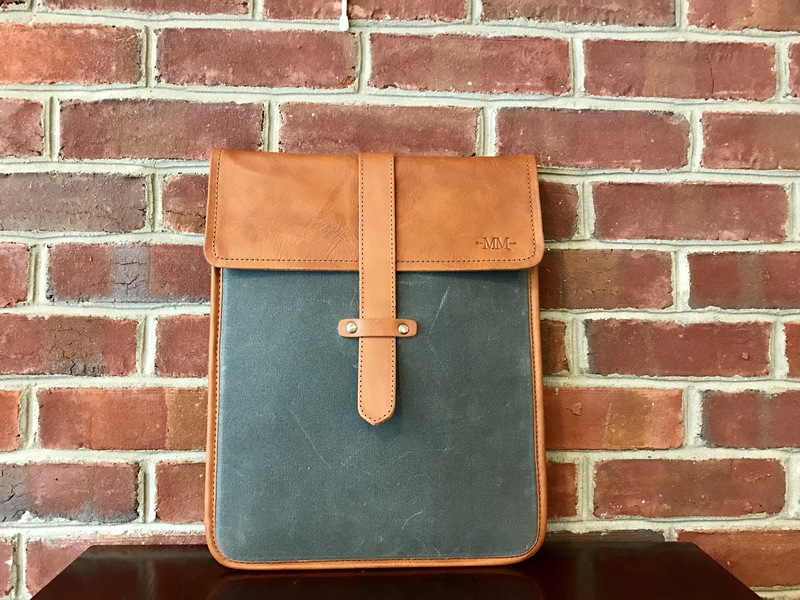 You have to have the cover dangle down and that can be awkward while taking pictures holding the iPad in landscape mode, which we think is the best way to take pictures. 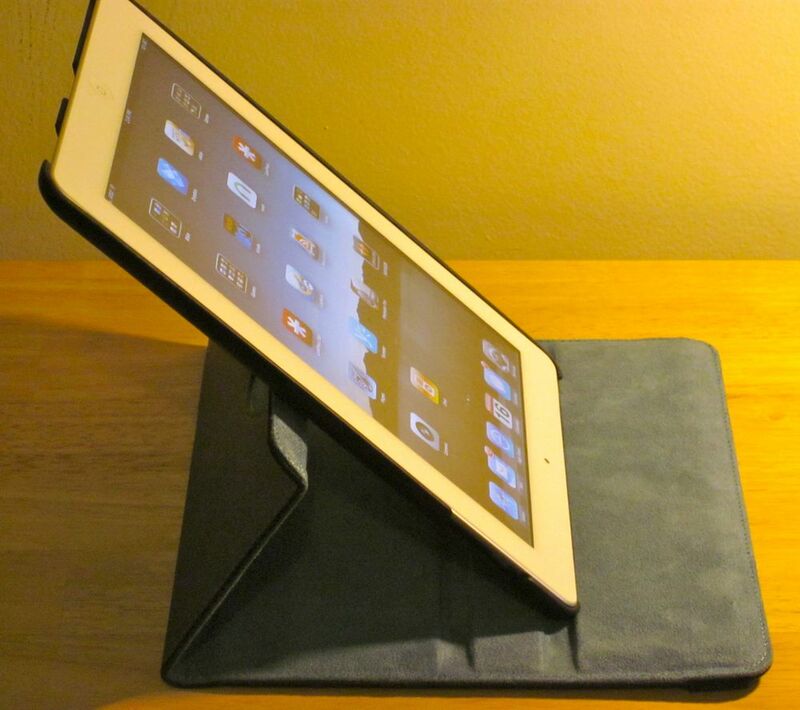 Finally, now that Apple has created its innovative Smart Cover that turns the display on and off thanks to a magnet, we think that every iPad 2 folio case should have this feature. 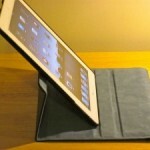 Until they do, they will unlikely be used on any iPad 2s that we use regularly. There are cheaper high quality folio covers that don’t work as a stand. 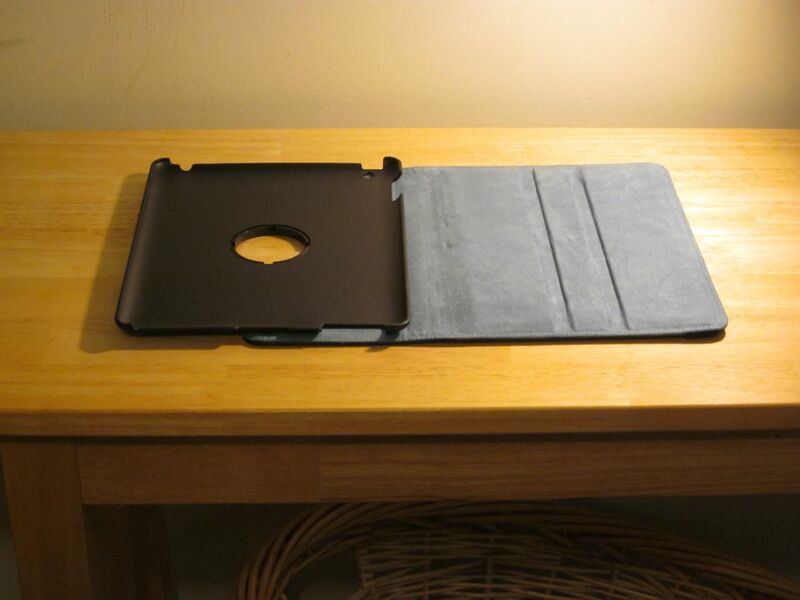 And our favorite original iPad folio cover from Schosche (the foldIO p1 case) actually fits the iPad 2 as well, although not snugly. 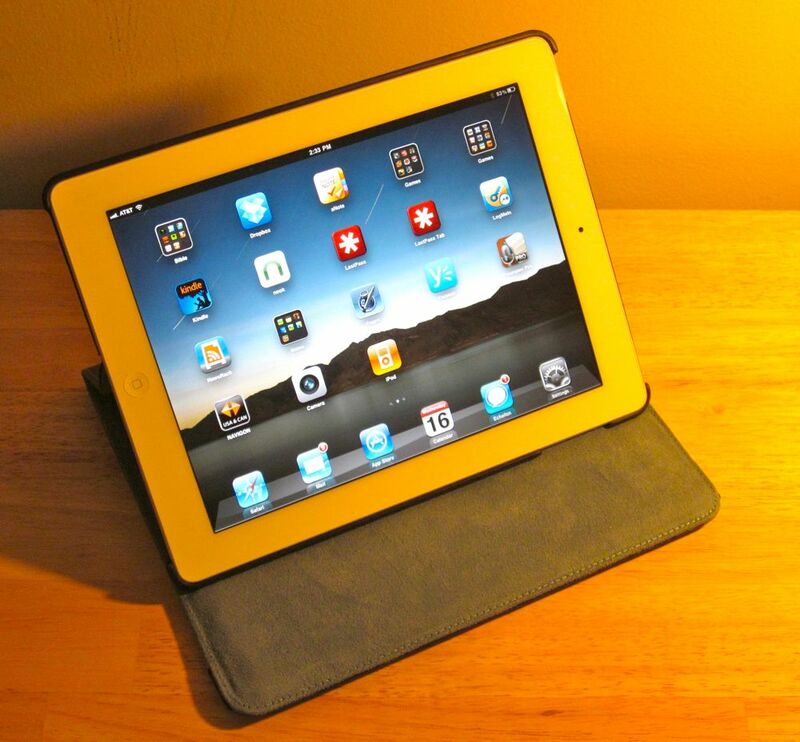 It has been updated for the iPad 2 also. 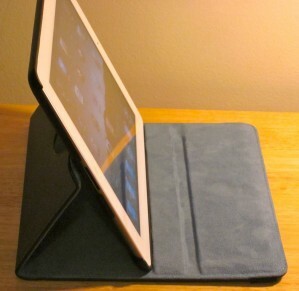 So if you just want a case that works as a stand in landscape mode there are better options. 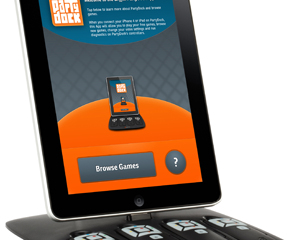 At $59.95 we would expect more. 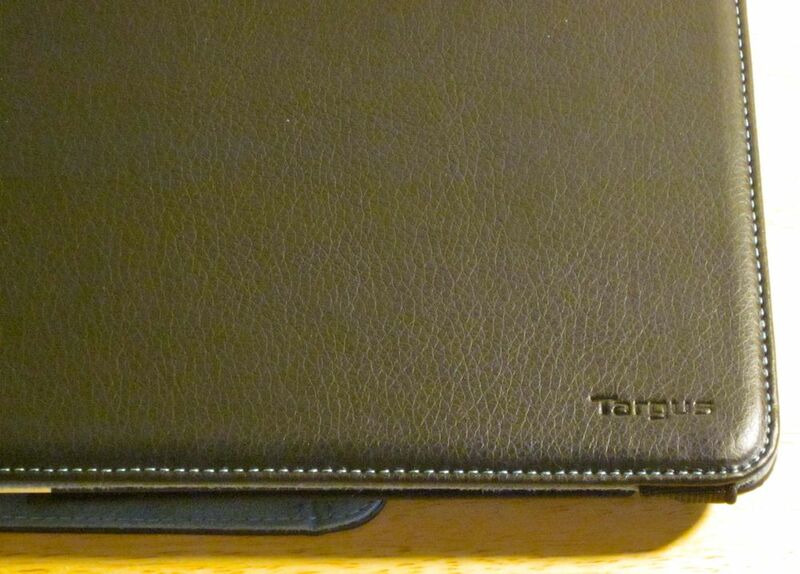 Targus normally makes very good products. 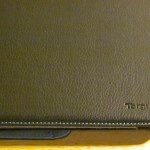 One of the best iPad stylus choices is from Targus, but they missed the mark on this case. 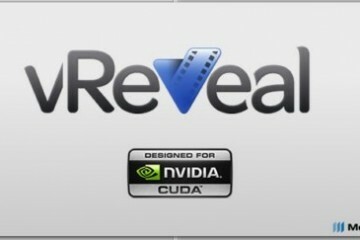 Need a 50-Inch Display? 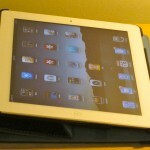 There’s an App That Allows You to Combine Multiple iPhones, iPads to Do So! 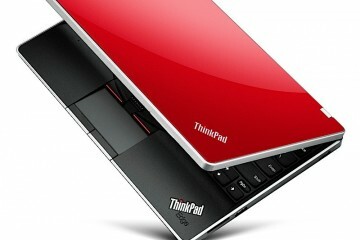 Lenovo ThinkPad Edge 11 Announced, Reviewed — Sadly Not Available in U.S.